Meet the Blue Water Team in Miami! 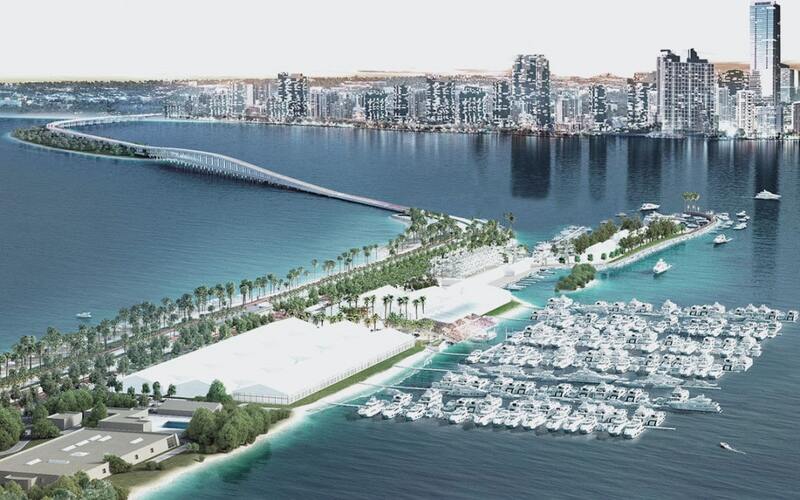 The prestigious Miami Yacht Show has a new location this year in the heart of Downtown Miami on Biscayne Bay. Located between MacArthur and Venetian Causeways, this new venue offers an expanded VIP lounge, more parking and a short ferry ride to the neighboring Miami International Boat Show. We are spreading some love to our customers and friends on Valentine’s Day with complimentary cocktails from Gosling’s Rum! Save the date and plan to join us on Thursday, February 14th from 5:00 – 6:30 pm at our display Booth #244 during the Miami Yacht Show. Running low on freshwater while offshore can cause unnecessary anxiety for a vessel’s crew and guests. Thankfully, an adequate capacity watermaker can more than out-supply those concerns. Whether a refit or new build, equipping a boat with a watermaker has become more of a prerequisite than a luxury. 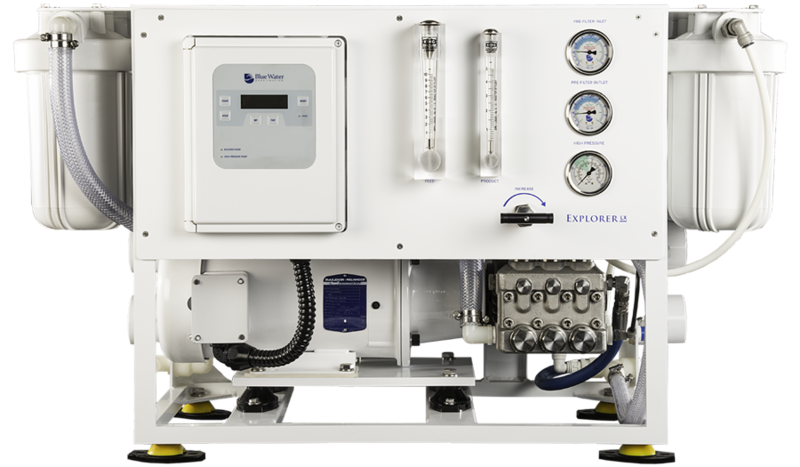 Watermakers can now be found factory-installed in a soaring percentage of today’s yachts, and advanced watermakers from Blue Water Desalination (BWD) are at the leading edge of this trend. 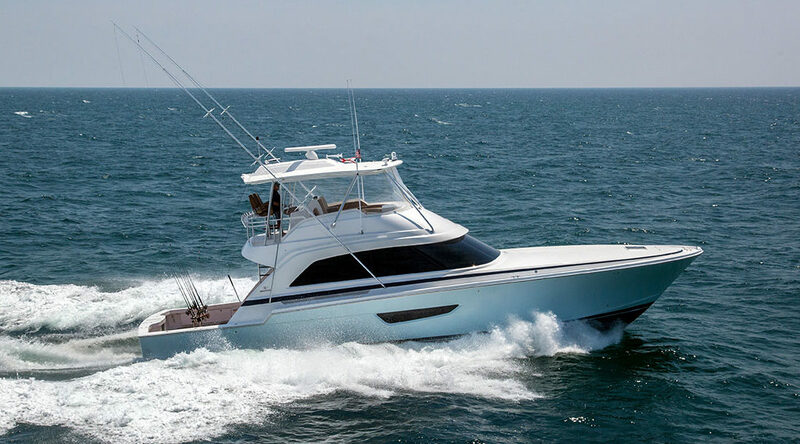 Blue Water Desalination proudly unveiled the all-new Legend ClearMate during the 2018 Fort Lauderdale International Boat Show. This newest model in their impressive watermaker lineup uses the same leading-edge technology as the popular Legend Series to provide fully automatic operation. However, the Legend ClearMate is an “all in one” machine that can produce ultra-pure water from either dock water or sea water. This system is available in several different configurations and production outputs to best meet each customer’s needs. 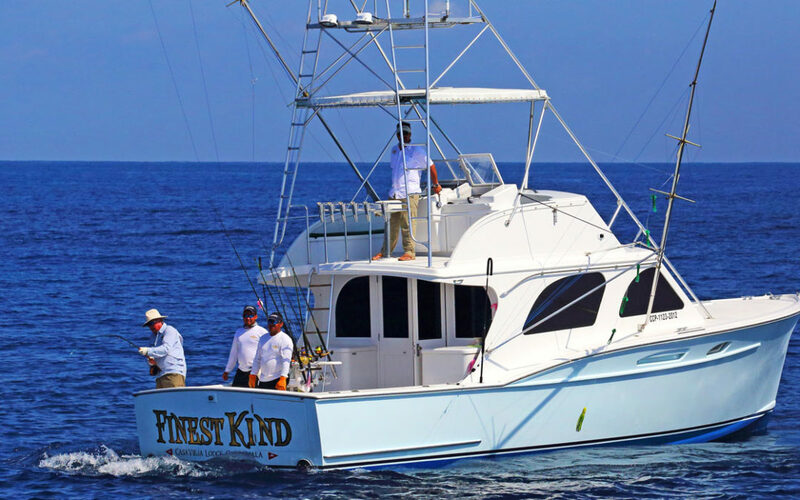 Blue Water Desalination’s Managing Director, Jim Santa has known Captain Salazar for many years, so it was an easy decision for Salazar to seek out Jim’s advice on equipping the fleet with marine watermakers. “I’ve known Jim for a long time, and our friendship definitely played a role in choosing Blue Water, but the quality and advanced features of the products helped seal the deal,” he explained. We hope you’ll join us on Virginia Key in South Florida for the Miami International Boat Show! 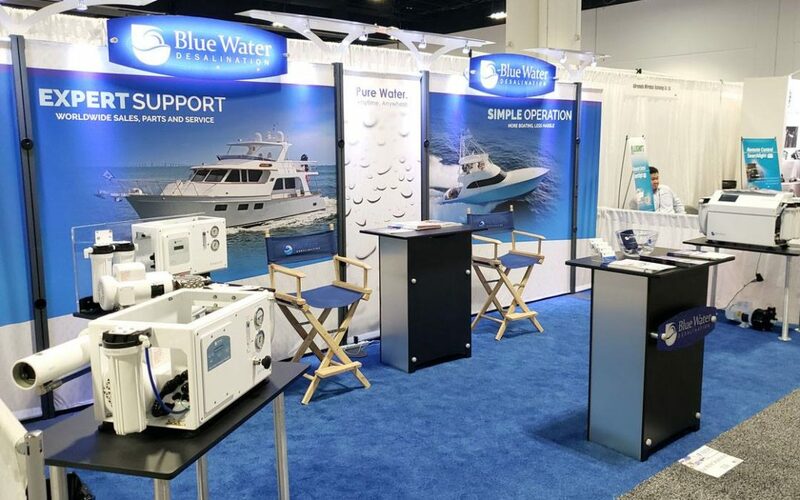 Blue Water Desalination will be displaying our full line of cutting-edge watermakers and accessories in Tent C at Booth 379 so be sure to stop by and check out our newest models and chat with the team during the show, which runs from Thursday, February 15th through Monday, February 19th. 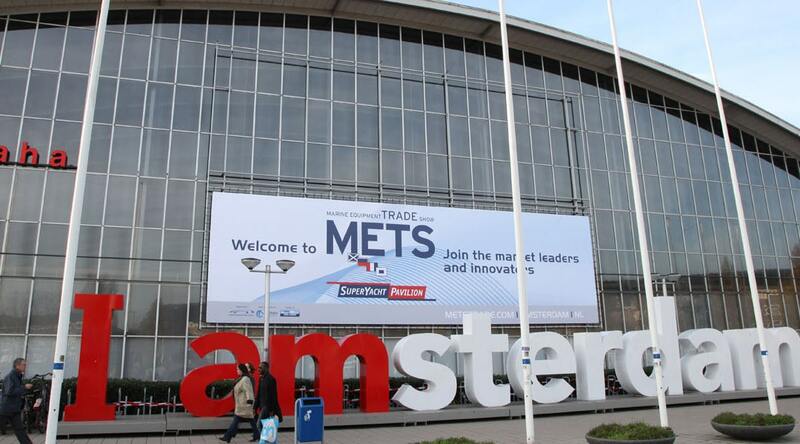 The Blue Water Desalination team will be in Amsterdam, The Netherlands for the Marine Equipment Trade Show (METS) beginning Tuesday, November 14th through Thursday, November 16th. Come visit us at Stand 11.102 in the SuperYacht Pavilion, and we will be happy to demonstrate our products and answer any questions you may have. Join our team in New Orleans to witness the latest cutting-edge technology in marine watermaker systems from Blue Water Desalination including the unveiling of the all-new Explorer LX semi-automatic commercial desalination system. Our innovative and high-capacity watermakers can be seen with Headhunter at Booth 1221 and H2O Inc. at Booth 3351 during the show, so be sure to stop by during your visit to learn about the many features and benefits of our new desalination systems. 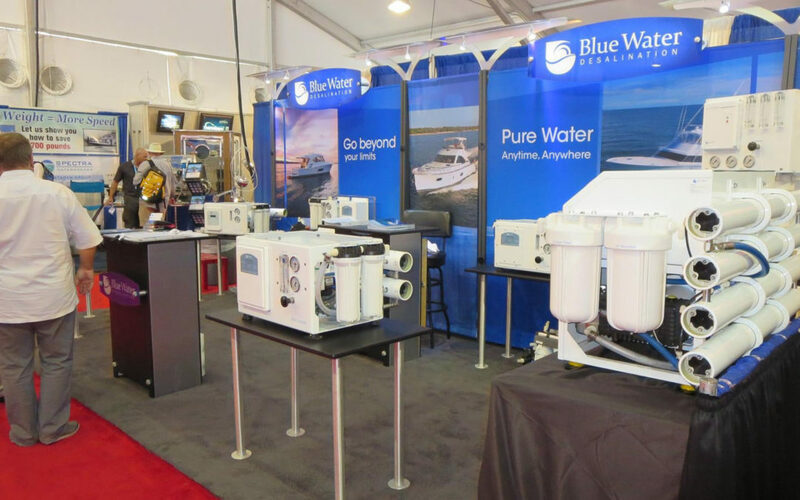 The Fort Lauderdale International Boat Show will be featuring the latest innovations in sea water desalination and watermaker technology from Blue Water Desalination in the Equipment Tent at Booth 498 & 499. Our Clear Mate fresh water filtration system is all-new and updated and will be on display during the show along with our full range of desalination systems. The Sydney International Boat Show turns 50 this year! 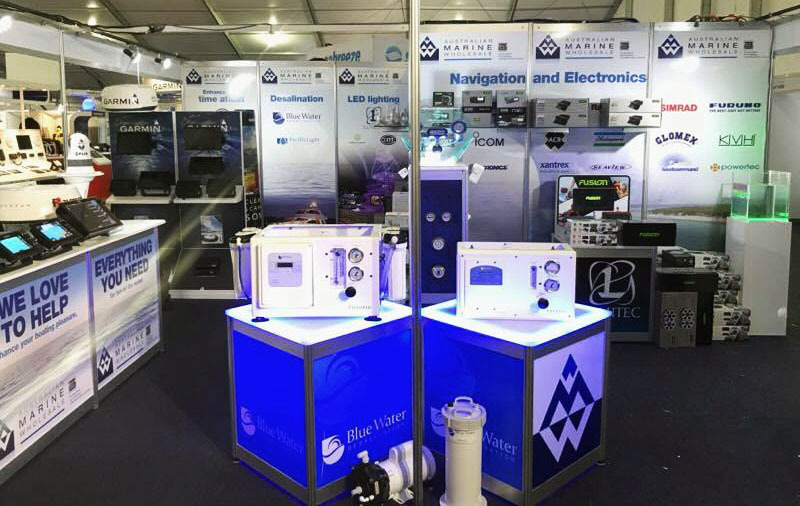 When planning your visit to this iconic boat show down under, be sure to check out the latest watermaker systems from Blue Water Desalination with Australian Marine Wholesale in Hall 5 of the Sydney Convention Centre at Stand 526. Australian Marine Wholesale is the exclusive distributor for many industry leading products and has been selected by many major OEM boat builders in Australasia as their exclusive supplier and installer for a variety of equipment. 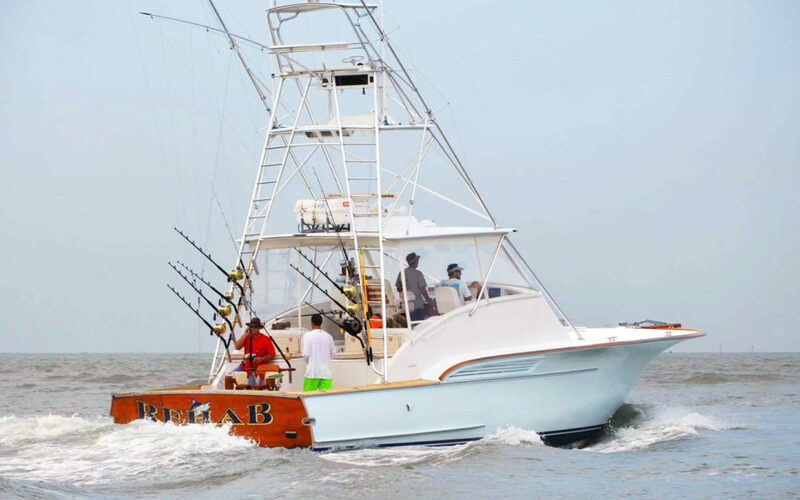 Specializing in new boat builds, refits, repairs and upgrades, AMW has the knowledge and experience to exceed your expectations of performance, reliability and after sales care at every opportunity.